We are pleased to announce Monnard GmbH are new members in Germany. The company are well-experienced and dedicated to the transportation of heavy and high OOG cargo. Maik Feldhaus (Branch Manager) states; "For 125 years, Monnard has participated in the increasing complexity of global logistics. We combine the professionalism of a modern logistics company with the virtue and values of a family enterprise. We specialise in project and heavy transportation worldwide. However heavy, big or out of the ordinary - it is no problem for the Monnard team of experts. Many years of experience guarantee trouble-free transport of any kind of heavy transport or project cargo and we take care of the complete process from planning to the final delivery". 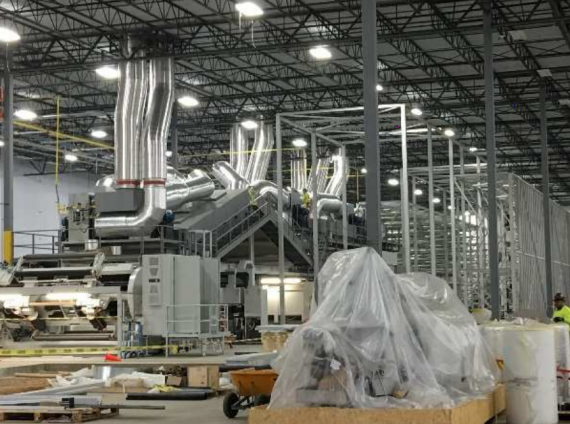 Please click on the PDF downloads below to view details of some recent projects handled by Monnard including the transportation of a complete flexographic printing plant to the USA (as pictured above). Monnard arranged pre-carriage within Germany, storage, export packing, transportation to POL, ocean transport, uncrating and on-carriage within USA.